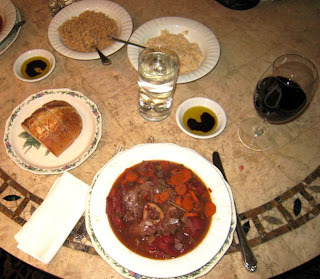 Years and years ago, JC came home from a trip to Montreal talking about a fabulous dish he'd had called Osso Buco. Well, you know I'm going to make it, right? 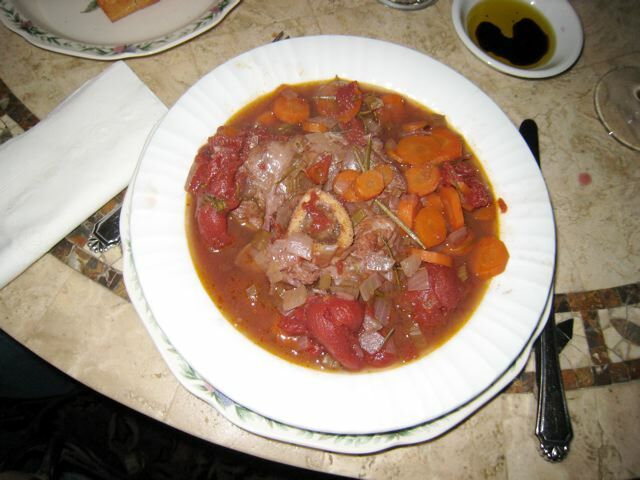 I've been making this dish ever since and I use a recipe (click to go there) by Emeril Lagasse that calls for two 8 oz pieces of veal shank. You could easily add two more pieces of veal and not change any of the other ingredients. Serve with white or brown rice, crusty bread, and a rich hearty red wine. Yum!! And hers is better than what I had in Montreal! Love it. Oh sweet! Daddy knows if you compliment the chef, it just encourages her to continue cooking! Yummy!